Greenrail, an Italian company, example of sustainable industrial development following the circular economy’s principles, which has designed a new concept of an innovative and eco-sustainable railway sleeper, patented in 79 countries worldwide, has finalized the first license contract with SafePower1, an American company created by local entrepreneurs and investors from Illinois, Michigan, Indiana, Minnesota, Missouri and Wisconsin. An important agreement of total value of around 26 million euros. The commercial contract, which foresees patent and trademark licensing, designing and supplying the industrial plants, as well as providing the necessary know-how, will be valid immediately. The 15-years agreement of a value of around 26 million euros will be in addition magnified by the royalties, and as a result will reach a value of more than 75 million euros. In January 2018 begins the phase of designing the industrial manufacturing plant, which will be operational by the end of the year, and will have a production capacity of up to 600.000 sleepers per year. In addition, it will grant a possibility to reuse a significant volume of waste each year: 8.000 tons of recycled End-of-Life Tires (ELTs) and 6.000 tons of recycled plastics. 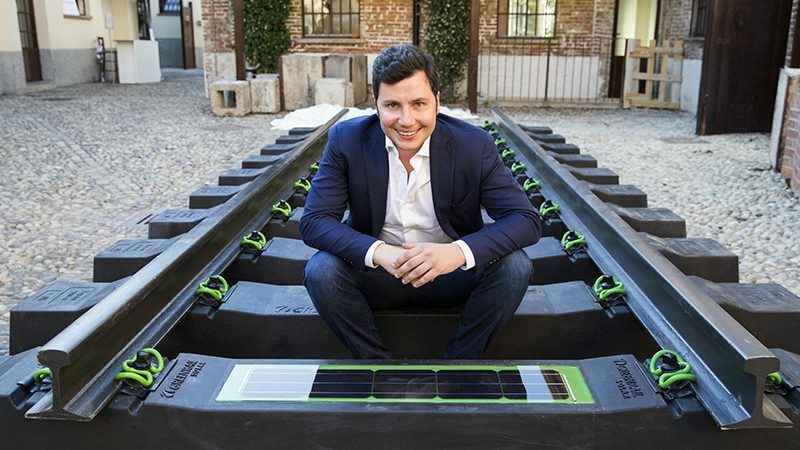 Greenrail sleeper in the USA will place itself on a market with a demand of 15 to 25 million sleepers each year, only for the maintenance of the existing railways. The market is currently in a strong expansion and predictions show that in the next years it will require more than 100 million sleepers yearly due to significant investments in modernization and renewal of the railway infrastructure, in particular through innovative, sustainable and smart solutions, such as Greenrail. The legal advisors involved in reaching the agreement were adv. Gian Marco Rinaldi from Bird & Bird legal office, adv. Saverio Occhipinti and adv. Guendalina Cannizzaro from Studio Legale Occhipinti & Associati.